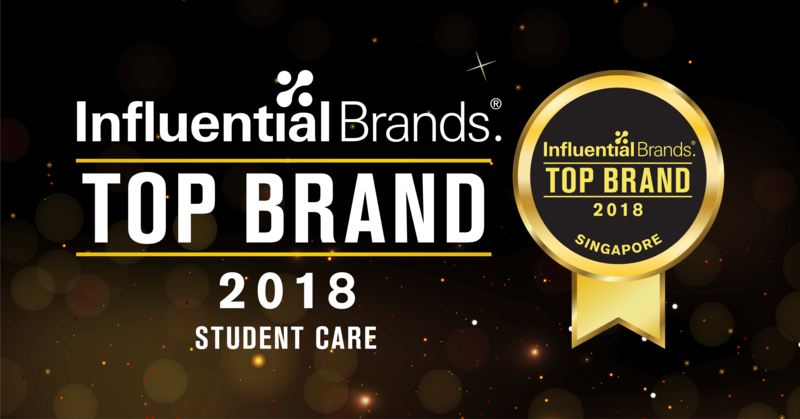 Singapore, 21 November 2018 – NASCANS, the student care brand under the umbrella of Global EduHub, won the Top Brand Award in the Student Care category at the annual Influential Brands® award ceremony last evening. Each year, the Influential Brands award honors the most influential brands across a wide range of categories, ranging from food and beverage and retail, to financial services and education. Winners of the Top Brand Award for each category are chosen by the panel after studying preferences of over 4,000 consumers across Asia through a survey. “All awardees are market leaders in their respective categories that have continued to place emphasis on consumers’ needs to develop their products and concepts, especially in the face of consumers’ demands in the digital age.” said Mr Jorge Rodriguez, managing director of Influential Brands. As the first ever winner of the Student Care category of the awards, NASCANS now joins the ranks of other notable brands like Breadtalk, Lazada, Grab, Pokka and Canon which have won the award in their respective categories previously. InfluentialBrands® is a think-tank formed to gain consumer insights through various methods of research. Leveraging on more than 20 years of branding knowledge, know-how and expertise in Asia, InfluentialBrands® seeks to provide knowledge, raise awareness of desirable brands, celebrate the unique aspects of Asian-based businesses and our rich Asia’s brand heritage.